Tablelist is proud to welcome Verboten as our newest venue partner. Formerly a metal shop in the heart of Williamsburg, the industrial vibe & underground beats draw crowds to this Brooklyn hot spot from all over the world. While Verboten is far from your usual Saturday night spot, you’ll find the biggest crowd on the dance floor here around 12am. The club is open Friday and Saturdays from 11pm to 6am, along with select times during the week for culture events and concerts. $500 minimum for 4 guests, including VIP entry and your choice of bottles, Champagne or cocktail pitchers. Book it. 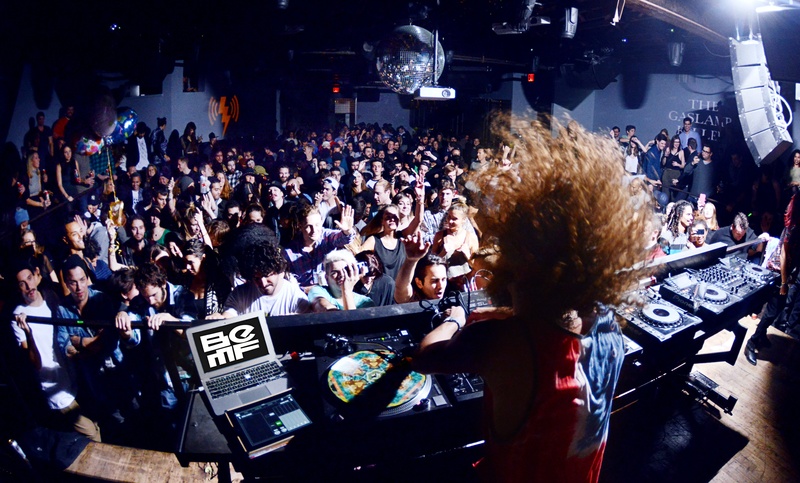 Pro-tip: Verboten has been a nightlife brand for over 10 years, known for booking amazing underground talent from NYC and beyond. Expect to dance all night and dress accoridingly! The Scene: With crushing acoustics, panoramic video walls, raised VIP booths and reclaimed wood dance floor, the Control Room is the beating heart of Verboten. Looking for a more low-key space? In the adjacent Cabaret Bar, you’ll find leather banquettes and neon chandeliers that set the stage for day parties, weeknight events, and art shows. What to wear: When the Verboten team says “Dress like you’re ready to dance” they truly mean it. Guys: You’ll get past the friendly door staff in sneakers and jeans, and can even wear your favorite hat in the venue. Girls: You’re welcome to wear dresses and heels, but most of the female crowd will be found in pants, flats or wedges and a trendy top. Any no-gos? Nothing is forbidden when it comes to the dress code, but rave gear and business attire are discouraged. Pro-tip: Verboten let’s you go rogue from your normal Grey Goose bottle serivce, offering table serive with pitchers of their amazing craft cocktails. Fun fact: Verboten’s dance floor is made from sprung wood, reclaimed from a warehouse once belonging to Thomas Edison. Known for their strong lineup of resident DJs including Davide Squillace, Moon Boots, Matador and Matt Tolfrey, these local heavy-hitters keep massive crowds of hip party people dancing all night. 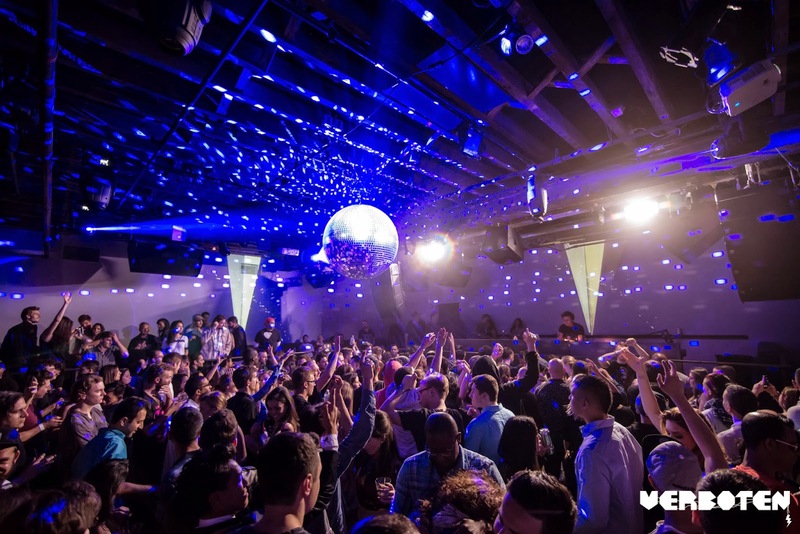 Verboten is also the perfect spot to catch your favorite up-and-comers and legends of house like Pierce Fulton, DUBFIRE, Claptone and more. 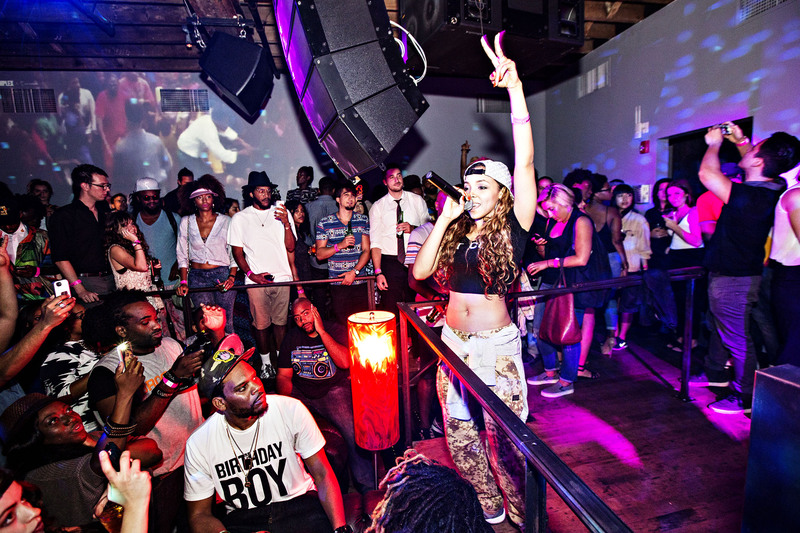 Table service is available in both the Control Room and Cabaret Bar, with an extensive menu of options like bottles, buckets of beer, and pitchers of cocktails, but don’t call it “VIP”; Verboten is an early pioneer of treating all party-goers like celebs, no matter what the size of their bar tab. For parties of 2-20, seating can be reserved instantly on Tablelist, including your choice of drinks and express entry at the door. Cheers! See you at Verboten this weekend.